Shakugan no Shana S cannot be considered a direct sequel to Shakugan no Shana II, however the OVAs do jump straight into the story expecting that the viewers have already watched the first two series to fully understand what is going on. Recently, Shana has been acting strangely. Worried about her well-being, Yuji and Wilhelmina decide to follow her from the shadows after school one day. What secret could Shana be hiding? While hunting for a certain tomogara, Shana steals the existence of a torch named Oogami Junko in order to make her investigation throughout the city easier while also dealing with the family problems left behind by Junko when she was devoured. After an epic ending to the prequel, Shakugan no Shana S gives us some side-stories to keep us occupied and ready for Shakugan no Shana III. The 'mini' series consists of four side-stories. Episode 1 gives us a back story to what happened after the battle with Friagne. As such, the humour in this episode is all about the bodies of Shana and Yuji being swapped. This of course leads to much embarrassment and secrecy as Shana and Yuji try to hide their real identities. Episode 2 is more of a slice of life anime about Shana preparing a surprise party for Wilhelmina without her knowing. Of course, everyone is acting suspicious much to the dismay of Wilhelmina. In the end, everything works out perfectly. 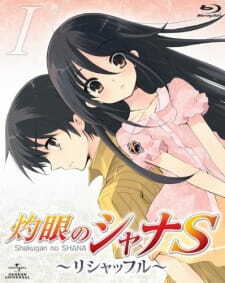 Episode 3 and 4 portrays Shana before the events of Shakugan no Shana. She has just become a Flame Haze and is on the search for a torch named Oogami Junko. The art of course was the same as the two prequels, nothing majorly different or noticeable throughout the series. The characters had fine details on them and the battles are well animated yet again. The theme songs were catchy as always from the Shakugan no Shana series. Voice acting was perfect. There were far less characters in Shakugan no Shana S than any of the another series. Although it focuses on Shana's past, there were a few minor characters that were present only for the OVAs. Overall, it was interesting to get some background information and some nice side-stories to keep us occupied. I can't really compare this series with the others as it is not directly a sequel. Side-stories; you may find them interesting or completely boring. Pretty much the same as the other series. Voice acting was perfect and the theme songs were catchy. Same set of characters with some irrelevant minor characters involved. It wasn't too boring just distracting from the main story. If you have watched the other two prequels already then you must watch Shakugan no Shana S since there are some interesting scenes scattered throughout the episodes.